The 2015 Dodge Journey may be just what you're looking for if you would like a mid-size, perfectly capable crossover SUV that's friendly to your wallet. It has room for either seven passengers or some extra storage. The vehicle is known for getting people through all types of weather. There are seven available models for 2015: AVP, SE, SXT, SXT Plus, Crossroad, Limited and R/T. A sportier look is what's new for 2015. Using one tank of gas, a driver can potentially travel 500 miles. The SUV can go up to 26 mpg highway. A 3.6L Pentastar® engine is one of the options to make the SUV run with 283-Horsepower and 260 lb-ft of torque. Another option is the standard 2.4L 16-valve four cylinder engine with 173-Horsepower and 166 lb-ft of torque. All wheel drive (AWD) is available for additional traction on snowy and icy surfaces. When this is used, only the front wheels will work until the back wheels are needed. There is plenty of additional storage in this vehicle. When the vehicle is parked, there is all the room to comfortably lay back and read a book or use a laptop. When the seats are folded back, there is up to 67.6 cubic feet available for storage. The seats also offer unified child booster seats. There are fabric and color options galore. SiriusXM Traffic and Travel Link are both available with five years of free service. More adventurous steering is available for those who would like it. 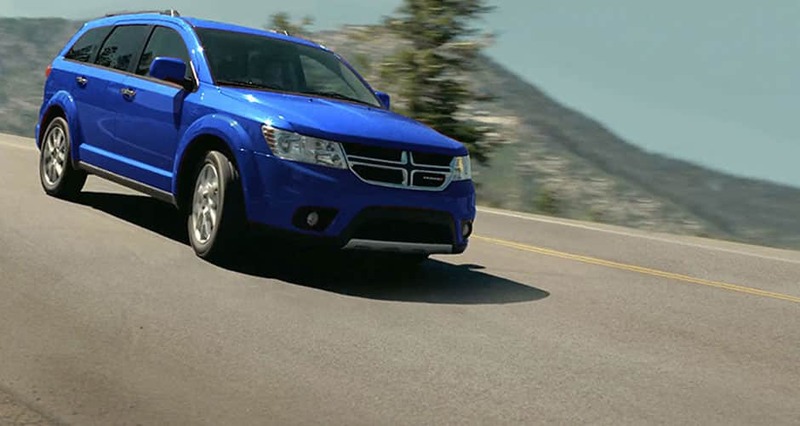 The 2015 Dodge Journey has 50 standard and available safety features. These include the Parkview® Rear Back-Up camera and the Parksense® Rear Park Assist System. Advanced brakes allow for more controlled stops. Brake Assist helps with accident prevention with assisting the driver in braking more quickly in a crisis or emergency situation. Front airbags operate in different stages to react to the severity of a crash. Side-curtain airbags are in all three rows. No wonder potential SUV buyers are big fans of the 2015 Dodge Journey: as mentioned, it has plenty of storage space and will get the occupants to where they need to go. Learn more about this model on the Official Dodge Journey Website.